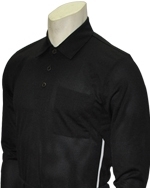 Smitty's 2016 MLB Style Long Sleeve Shirt Smitty's 2016 MLB Style Long Sleeve Shirt This long sleeve umpire shirt is a slightly heavier knit made with Cliff Keen's Ultra-Mesh Performance Wear material, making it ideal for cooler, early-season games. The MXS Performance Mesh umpire shirt combines remarkable athletic construction, comfort and durability like no other. 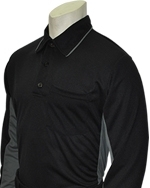 Stay warm during cool weather games in this durable long-sleeve mesh umpire shirt. This mid-weight shirt wears well, has a soft feel and keeps you cool.